Did you know a bout of gastroenteritus could set you back $3,000 in medical fees in Europe? Getting medical treatment overseas is very expensive. What would you do if your holiday ended up a financial catastrophe? At least with the right travel insurance you can claim compensation for your holiday disasters. 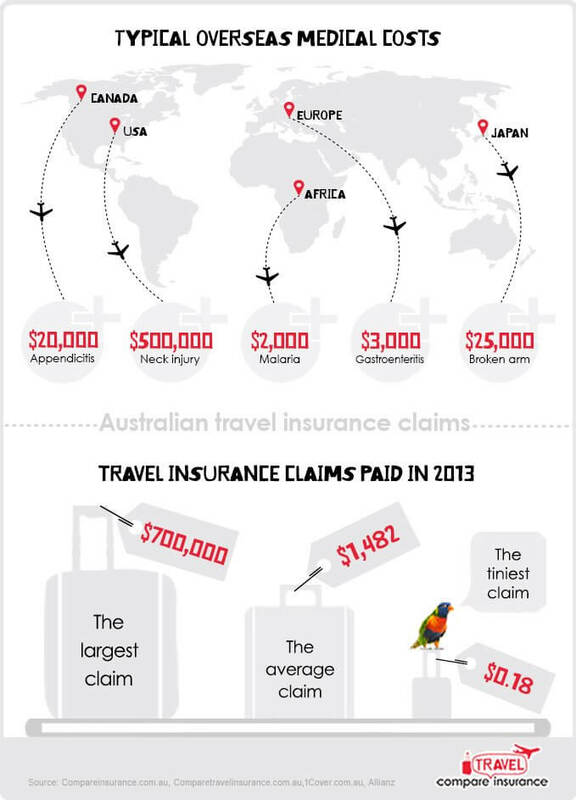 Check out our claims infographic to understand why travel insurance is so important. Get the lowdown on travel insurance claims!